Yamaha's brand new MT-15 streetfighter is all set for its India launch next month. Bookings are already open at Rs 5,000. Here’s the bit of news that you bikers have been desperately waiting to hear, lately. The Yamaha MT-15 is finally going to be launched in India on March 15, 2019. 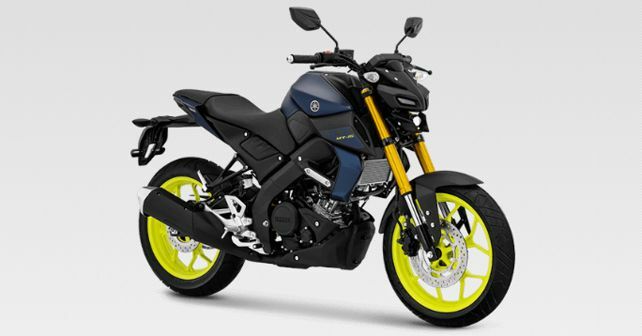 While this hasn’t been communicated officially from the manufacturer, our sources tell us that the MT-15 is going to be launched on the scheduled date, with customer deliveries commencing early in April. In fact, a few of the Yamaha dealers have started taking pre-orders for the new motorcycle at Rs 5,000, suggesting that the launch is just around the corner indeed. The MT-15 is not a brand new product for the Indian market, as it’s already on sale internationally. The motorcycle is based on the R15 V3 and shares its mechanicals, albeit in a lithe roadster body. Having said that, just like the India-spec R15 V3, the MT-15 headed to our shores will also miss out on a couple of features and equipment in comparison to the bike sold globally. Like, for instance, it will come with regular telescopic front forks instead of inverted ones that are seen on the global-spec bike, and it also doesn't get an aluminium swing-arm. This has, of course, been done to keep the costs in check. On the design front, the MT-15 draws inspiration from its bigger brothers, meaning it flaunts a twin-LED headlamp unit that gives it a mean and alien-ish look. Other than this, the MT-15 shares its running gear with the R15 V3. This means, it’ll come fitted with the same liquid-cooled 155cc single-cylinder engine, which develops 19bhp and 15Nm of torque. The engine comes with variable valve actuation (VVA) system, and is paired to a six-speed gearbox. Just like the R15 V3, the MT-15 will get disc brakes on both wheels and will have dual-channel ABS as standard. As for its pricing, it’s expected to carry a price-tag of around Rs 1.25 lakh, ex-showroom. While it doesn't have any direct rival at the moment, it obviously won't shy away from locking horns with the KTM 125 Duke and TVS Apache RTR 200 4v.